In this article, our reader wants to know whether or not he should make the switch to a new DJ app. In this article, our reader wants to know whether or not he should make the jump to a new DJ app, or go the full-on “club standard” CDJ/DJM route. Digital DJ Tips user James writes: “I’m now four years into digital DJing, fully converted from vinyl, and have been happy so far. I’m a Traktor user, and I like the potential of Stems as it fits with my beat-gridded house style. I’ve had little temptation or need to look in any other direction, but this week has made me start to wonder if a change might be up for consideration. 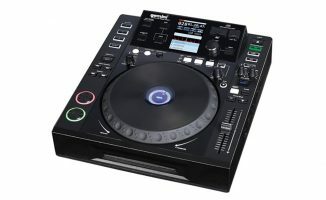 “I think the new Pioneer DJ DDJ-RZX looks amazing. Further, I met a friend for lunch today who is a resident DJ, and he couldn’t have been any more adamant about Pioneer DJ gear, specifically the CDJ-2000NXS2 and the DJM-900NXS2. He’s not convinced by controllers and software, so we have a difference in opinion, but the ‘Pioneer DJ as industry standard’ argument he made was strong and hard to rebut. To answer you, I want you to meditate on this question: What kind of DJ do you want to be? Answering this will clarify most of your DJ gear choices. Want to become a mobile / pro DJ gigging at events, weddings, and functions? You can choose which gear you’d like to use since you’ll most likely be providing it anyway. For that, you may want to stick with Traktor and build on your knowledge of the software – I’ve been using Traktor for almost a decade, and I still don’t fully know the ins and outs. 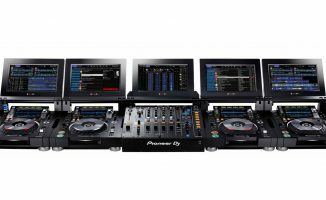 If you’re aspiring to become a club DJ that gigs regularly, perhaps even bagging a residency later on, being familiar with the CDJ/DJM combo is smart because this is what’s found in almost all clubs the world over. You could still stick with Traktor and a laptop, simply using the CDJ/DJM set as your “controller”. It’s a solution that’s not as simple or elegant as using the Pioneer gear as it was intended to be used, though. Using DVS is also an option, which would let you use your laptop with CDJs or turntables playing timecode CDs or vinyl, respectively. You could also make the jump to Rekordbox DJ, which is a full-on DJ software developed by Pioneer DJ. Get yourself an entry-level Rekordbox DJ controller like the DDJ-RB for practice at home, and then use the CDJ/DJM set-up at the gig with your laptop running Rekordbox DJ. 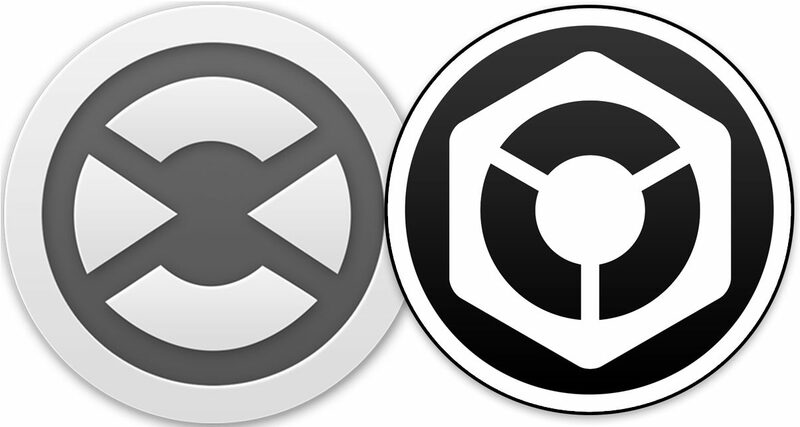 If you want to gig without a laptop later on, Rekordbox is the same software you can use to export tracks and playlists to your USB sticks for use with CDJs, which makes everything convenient since your DJ library is just in one place. Of course, choosing what type of DJ you want to become also brings with it an artistic evolution, which may or may not alter your gear choices later on. Want to add video to your performances? 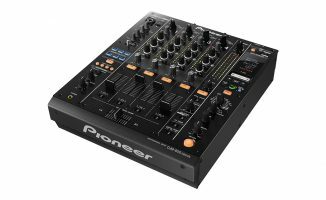 The Pioneer DJ DDJ-RZX, as you mentioned, could be the next step for you, in which case you’ll have to leave Traktor and learn on an entirely new controller system and software. You could also check out Serato Video, which is a video add-on for Serato DJ. If you suddenly want to become a DJ that also performs his music live, then staying with Traktor and getting deep with an aspect of it like Remix Decks or Stems could be what’s next for you. Again, it depends on where you want to go with your DJing, not just where you are at the moment. Spend time thinking about the future that you want for yourself in our industry, and then act today to get closer to what you want. Get clear on what kind of DJ you aspire to become: Dream big, then use that vision to guide your choices in your DJ journey. Ultimately, the decision as to what gear or software to pick is a choice you’ll have to make yourself, sometimes more than once. So, over to you: What advice would you give our reader? What factors should he consider when deciding whether or not to make the jump to a new software or set-up? Let us know below. Controller Clinic #17: Best Midi Mixer For Media Players? That’s exacttly that each software is working theri own gear .. It’s commercial thing .. As for me i have being with Traktor for a long time, The Stems factior is a huge advantage . creating your own style and music as a dj is the best ,,… Although is you want just to mix and remix uste the onw you feel most at ease with it…. My goal is to have basic familiarization with most software out there. I enjoy learning new things so to be able to have some knowledge on more software platforms can’t hurt. This is like saying; I have a project studio and I had lunch with my mate Yoad Nevo and now I’m not sure if I need a Neve Desk and a bunch of outboard gear. A full Pionner nexus setup is expensive gear used for a professional venue. Just stick with Traktor and use DVS for clubs, or if you have to Rekordbox your playlists on a USB and use just the CDJs in clubs. 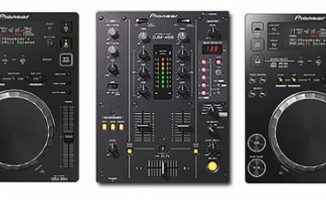 There is no better argument to go with Pioneer DDJ controller or if you have the cash CDJ/DJM due to the fact they are supported by just about every DJ software there is. The Pioneer CDJ-2000Nexus (MK1) is perhaps the most capable player ever created as it supports (Natively) SSL, SDJ, Traktor, Djay Pro, VDJ, Mixvibes, Rekordbox, Rekordbox DJ, and more while still offering optical (DVD/CD), USB (external HDD, USB flash drive, SD, MIDI, HID, wireless (via mobile Rekordbox App) and even more TBH…………………. Name ONE other player, controller or device as capable………………………………..